Article: Remote Trainer Brand Comparison. Choosing a remote trainer can be confusing, considering the number of brands available, multiplied that by the number of models available through each brand. We're often asked by customers, "What is the best brand?". Well, the honest answer to that question is 'It depends'. It depends on how you will be using the trainer, what breed/size of dog you have, where you will be using the device, etc. That said, we will attempt to highlight the strengths and weaknesses of each brand of trainer we carry. Note that all are excellent products, but some excel at different tasks. The SportDog Line by PetSafe is, as the name implies, aimed at the hunting dog market. They feature rugged equipment, and back it with a limited lifetime warranty. A unique feature of the SportDog line is the ability to add additional receiver collars to your system at a later date. They also allow you to replace the rechargable batteries (replacement batteries can be ordered from SportDog) when the batteries eventually 'die'. These trainers are an excellent choice if your primary focus is on gun dogs. The PetSafe branded trainers are of equal quality, but are designed primarily for the companion pet market. The PetSafe Yard and Park Trainer is an excellent choice for general companion pet training, as well as some field training use. Innotek is our best selling line of trainers, as they are aimed at the companion pet market. They are now part of the PetSafe family of brands. They are generally priced lower than the other brands, but are still excellent units. The Innotek SD-70 is the only trainer specifically aimed at the toy breed market, and their UltraSmart line is sleek, and suitable for most any dog. Some units use replaceable batteries (available at most major retailers), while the bulk of their products are rechargeable. The drawback with the rechargeable units is that they are basically disposable, as the battery cannot be replaced. However, they do have a life span of 3 to 5 years, so they generally are a good investment. Most of their units allow you to use an optional 'warning tone. Since many Innotek customers are purchasing their first remote trainer, they offer a toll-free 'talk to a trainer' line to allow you to get a professional opinion or guidance about using their products. Multivet specializes in remote trainers that use a spritz of spray rather than a corrective stimulation to distract your pet. They are especially good for timid dogs, but are limited to use around the house and yard. Their Ssscat product is excellent for keeping your pet away from specific indoor areas. Dogtra trainers are newer to the US market, but represent some of our best selling models. Like Tri-Tronics, they are primarily aimed at the professional/sport dog audience. However, their lower priced models, the 175NCP and 200NCP, are good 'crossover' models that do a great job with companion pets. Many Dogtra trainers feature a 'pager' feature, which causes the receiver collar to vibrate when the appropriate button is pressed. We personally like this feature as it is possible for dogs who have been trained on units that give 'warning beeps' become skittish around cell phones, answering machines, ovens, or any other electronic appliance that beeps. Another neat feature of Dogtra trainers is the 'rheostat' dial that determines the level of correction. Think of it as a dial with infinite levels between 'low' and 'high'. The rechargeable batteries may be replaced on Dogtra units, but it requires either a good background in electronics repair or sending the unit back to Dogtra. Probably the best trainers on the market, they are generally regarded as the industry leader. 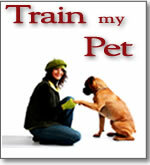 The target market for their products are professional trainers and sport dog enthusiasts. The trainers are rugged, long range, and designed for work in the field. They are probably overkill for the companion pet owner who needs to train their dog not to dig in the shrubs or kill the mailman, but might be a good choice if you are considering field work or live on a large property. To the best of our knowledge, Tri-Tronics are the only trainers made in the U.S.A. They also allow you to simply replace the rechargeable battery when it inevitably dies, or even quickly change out to a spare battery in the field. Available in systems for up to six dogs.